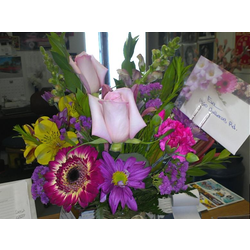 Swede & Eva started Eva's Limousine Service LLC. in 1981 in Ventura, being more or less the pioneers in limousine service. Our utmost goals have always been to offer meticulously clean limousines and having a variety of limousines to fit most needs. We have been asked many times how we got started. 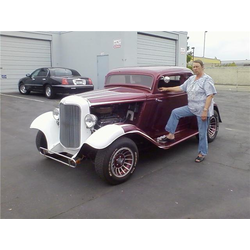 Eva and Swede immigrated to Ventura back in 1980, We were car enhusiasts and have always loved cars from Hot Rods to customs and lead sleds, when we were down south of Los Angeles one day withour friend Hans we saw a limousine pull up, boy were we fascinated we oood and aaahd, finally we said lets try to find one that might need some work and could be a deal. At the time Swede was working in a autobody and paint shop. Well we lookedfor many months and finally found one that could use some help. Sunday morning came around I was thinking things over when the original owner called me. Swede he said, the manager of my hair salon walked off last night with the entire drop. Rents due today, and my landlord is telling me if i don't have the rent to him by 3pm he is going to evict me. That salon has made me more money than that limo ever did. If you can get me half what I was asking by 1pm the limo is yours. Well you can guess what happened, well yes it needed a paint job, new tires, hoses under the hood, a battery, and a hundred other things. We finally got her running and looking like a diamond, we used it when our friends came from Sweden to visit us instead of the old station wagon we used to travel in. It didn't take long before we were getting a lot of new friends and they wanted to borrow the limousine for moms birthday, sisters wedding etc, etc. What really irritated me was that noone put gas in the limousine nor did they clean up the mess inside the limo, this started to irretate the dickens out of me so I told Eva I wonder if their is such a thing like a Limousine taxi company or something like that. Several calls later we ended up talking to a limousine service in the San Fernando valley and they informed us what they charged. Now we had an idea of what it could cost so we charged a lot less since it was not our intent to be a limousine service, but I wanted recover my expenses to drive myself since I noticed that the vehicle was not being pampered the way I was doing it. Well we lost 80% of the new friends and were told a few nasty things, but the other friends said they didn't think it was unreasonable. Now we were traveling in style. Our limo made traveling with our friends much easier. It was then that we discovered there was no limousine companys that really serviced the Ventura and surrounding areas. I got an idea to open a limousine company for fun just to have on the side to help pay for the upkeep of the vehicle. 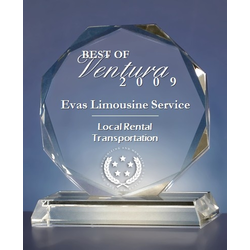 Eva and I had fallen in love with the beautiful climate and the people of Ventura, in 1981 Evas Limousine Service was born. We have seen over 100 companies open up and seen at least 95 close their doors and we are still in business. Our attention to detail does not end at our limos. Being licensed is very important. Everytime we hear a story about how a company was late, the limo was filthy, or broke down it pains us. Please don't risk your loved ones on an unlicensed company.